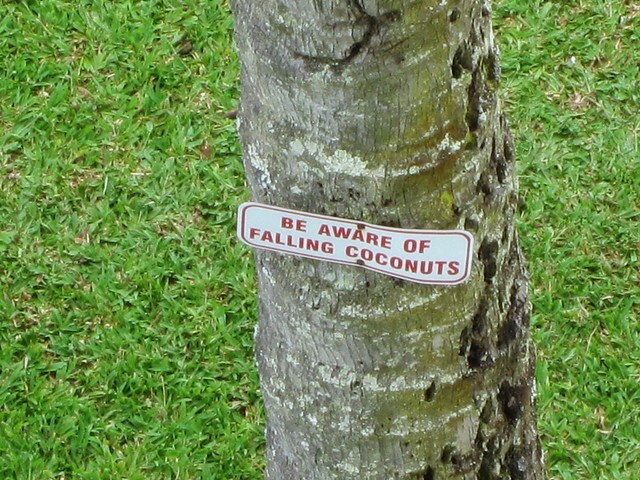 Little did I know, coconuts would fall on this trip and hit me right in the heart. This post is way over due for many reasons. One being, I have been super busy since I got back. Two being, I didn't want to actually type some of this because it makes it more real. 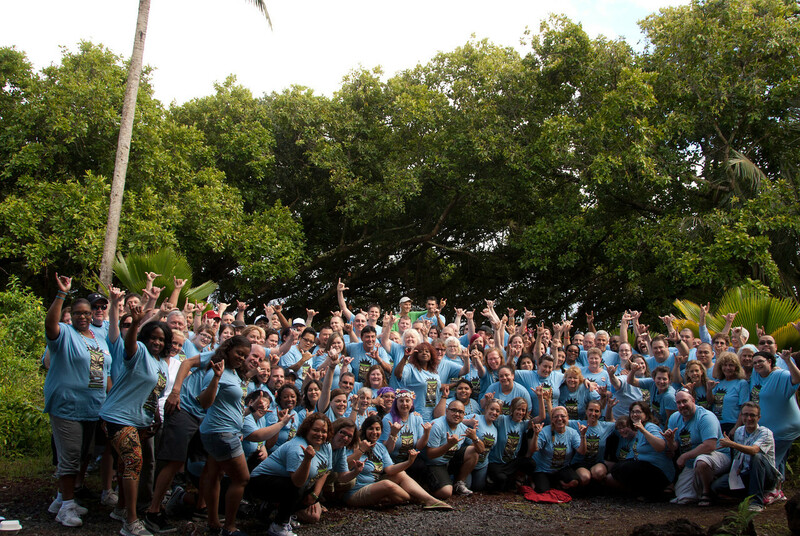 I will start with the fact that I work at one of the best places ever and feel completely blessed that I was sent to Hawaii to attend the Engine 2 diet immersion. I have been GFV (gluten free vegan) since mid-January but this got me reinvigorated and I learned a lot as well. The entire time was filled with lectures, exercise, great meals and relaxation. Walk to lecture hall (about 1/3 mile from dining lanai. 9:00 AM - 12:00 PM = Lectures, Cooking Classes, etc. 3:30 PM - 6:00 PM = Free time, daily excursions, beach, pool, rest. Some nights after dinner we were done and went to bed, others we had things to do like; bonfire on the ocean, fire dancing entertainers, movie, talent show (yes, of course I was in it). It was basically like camp for adults. I loved that I did not have to think about where to be, what to eat, what to do, etc. It was all done for us. 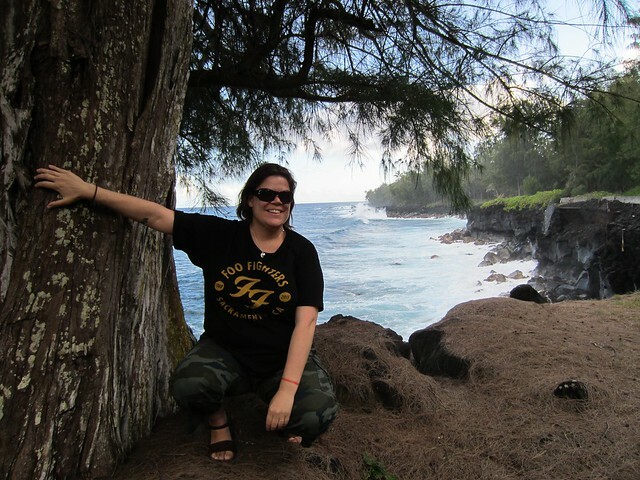 I arrived in Hawaii a day early as not to miss anything and stayed in Hilo at an ocean front hotel. I stayed there from Sunday night until Monday at 3 PM. On the plane I started a book that I could not put down so it was nice to be able to sit out on my lanai and read in the sun until I had to go back to the airport and be picked up by the van to head to the retreat center. When I got the airport I met some great people from all over the US and Canada that all work for Whole Foods Market. 5 of us got into a van with Dr. Cadwell Esselstyn Jr. who is super nice and an amazingly knowledgeable Doctor who entertained us on our hour ride to the retreat center. 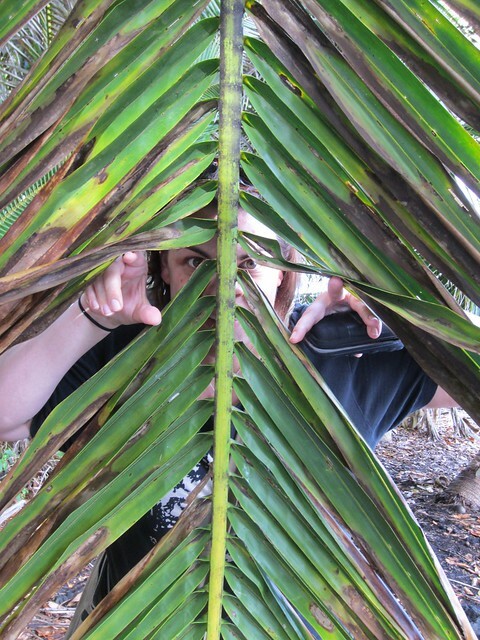 When we arrived we realized this was not the beach side Hawaii most people think of, this was rain forest, hippy run, clothing optional (but not the week we were there), huge bugs and lizards jungle Hawaii and I loved it! Our accommodations were very rustic but ok for the most part. No A/C just fans and it was hot and sticky but I kind of liked it. Reminded me of MidWest summers. The day after we arrived we were all very tired and took it easy but on Wednesday everything was mandatory and we were pretty tired after the morning workout. Wednesday was the worst day. It all began with my phone missing calls during the morning and it was Tim calling. Well, Tim never calls like this so I knew something was happening and I had a bad feeling in my stomach. Then he texted me that Gidget bolted as they were getting ready for a walk and he chased her for a couple blocks and then lost her. Shortly after that text I got voicemail so I ran about 1/2 mile to where I could get phone reception (yes, I ran!) and the message was from the Peninsula SPCA telling me they had my dog and she was hit by a car. My head was spinning, I couldn't get Tim on the phone and when I finally did, it was a mess. He was very upset and was headed to go and see Gidget and find out what was going on. Well, it wasn't good. I had to wait most of the day without any news. I had trouble paying attention that afternoon and I couldn't wait until free time so I could call Tim. Gidget was very hurt and Tim had to make the decision to put her down. I don't want to share the details as they are too horrible. It was very hard for me to be away, but I was literally in the middle of nowhere and knew I needed to stay. It was probably for the best as Tim had his time to heal without me at home and I had time as well to heal a little, but coming home was not easy. With each passing day, the pain started to decrease but I was still pretty sad. I decided I had to make the best of the trip though and couldn't sink into my own sadness, that just isn't my style. The remainder of the trip was good. I exercised each day, I sweat out a lot of water that normally would have went to tears and made the best of every moment. There was a group of us that sat together each day "the peanut gallery" and we all had a great time together and made each other laugh for which I am so grateful for to this day. Sunday was the last day and we all went on a trip to Hawaii National Volcano's Park, it was amazing! Sunday evening we all boarded the same flight (practically all of us) and headed to LA and made our connections home from there. It was sad to leave my new friends who became so close over just a week's time but I know we will see each other again some day. Monday morning I arrived at SFO and Tim picked me up. I knew I had to deal with Gidg not being at home and it hit me like a ton of bricks when we walked into the house. I cried as much as I could and let it happen when it wanted to, and still do. Don't think I didn't cry typing this because I did. Tim decided after I got home to go on a plant based diet as well and together we have been making meals together, deciding what we can order when we go out and having fun with the entire thing. Two weeks after I got home we rescued another dog...more on that in another post. She kind of deserves her own post. Out of ruin comes repair. For some reason through all of this, I have kept a level head, tried to stay in the moment and feel really great strange as that may sound. I feel a change in me that I have never felt before. Gratitude, Strength and Patience are now a huge part of my daily life. I am truly blessed. beautiful recap. i see some of my buddies in that picture!